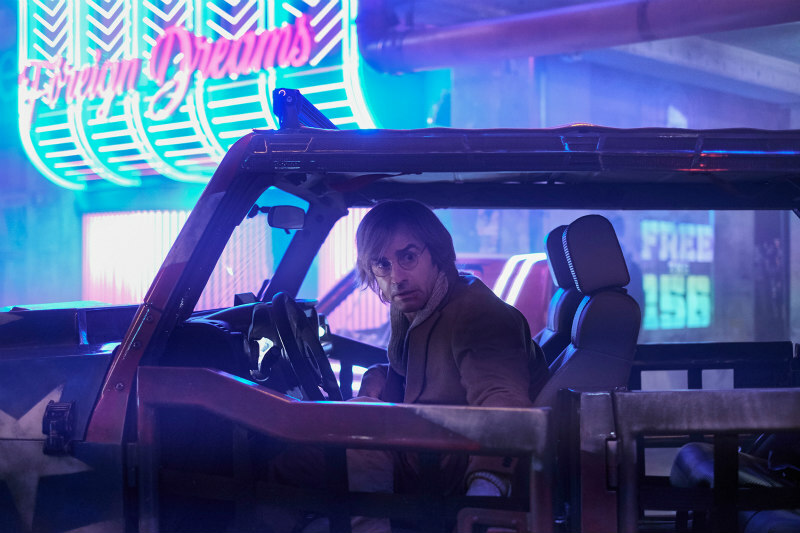 The first images from Duncan Jones' upcoming Netflix production have arrived. After 2016's much derided video game adaptation, Warcraft, director Duncan Jones will be hoping to win back fans with a return to the sci-fi world he's most comfortable in. 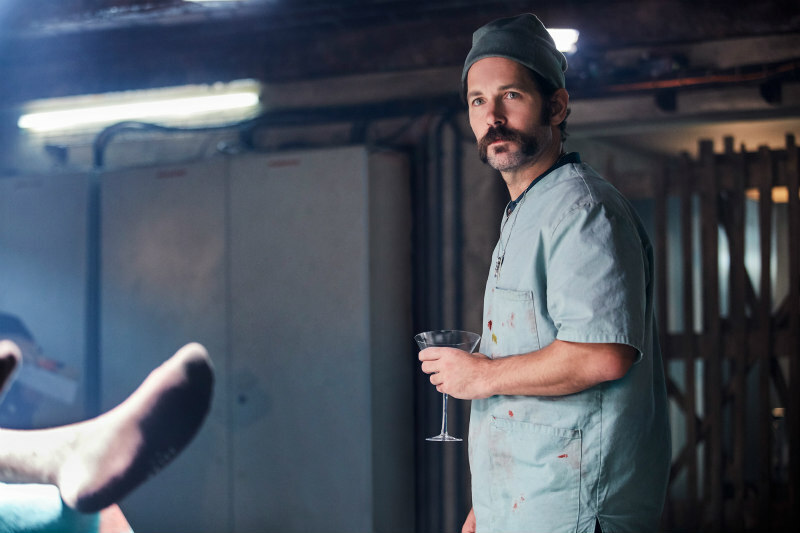 His Netflix original movie Mute, which stars Alexander Skasgard, Paul Rudd and Justin Theroux, has just released a trio of images featuring the aforementioned cast members. 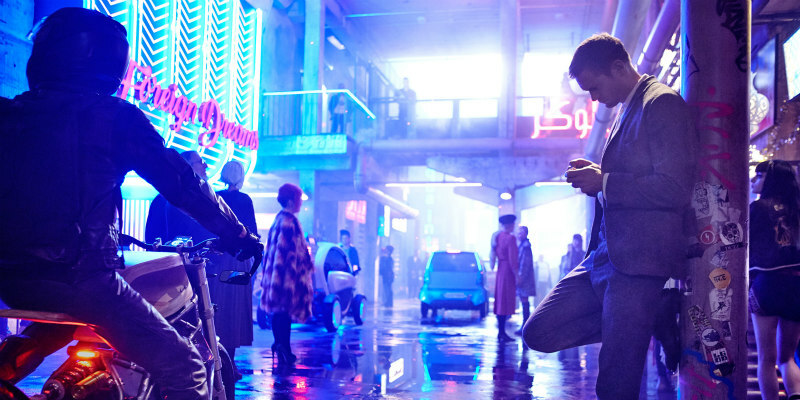 In the movie, Skarsgard plays a mute detective investigating a missing persons case in the Berlin (seemingly the en vogue film city of 2017, with a host of upcoming movies set in the German capital) of 2052. 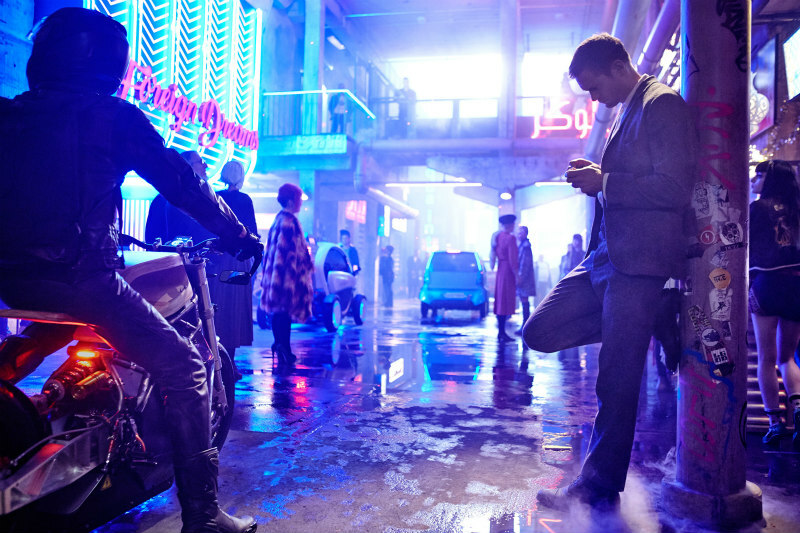 Speaking of Mute, which he originally devised 12 years ago, Jones said back in October "Mute is an encapsulation of everything I am fascinated by; noir, science fiction, and unique people in trouble because of who and what they are. I’m delighted to be able to return to Berlin for the shoot, a place I lived for a period of time growing up, and I’m excited to be working with Netflix on a film that is so close to my heart."